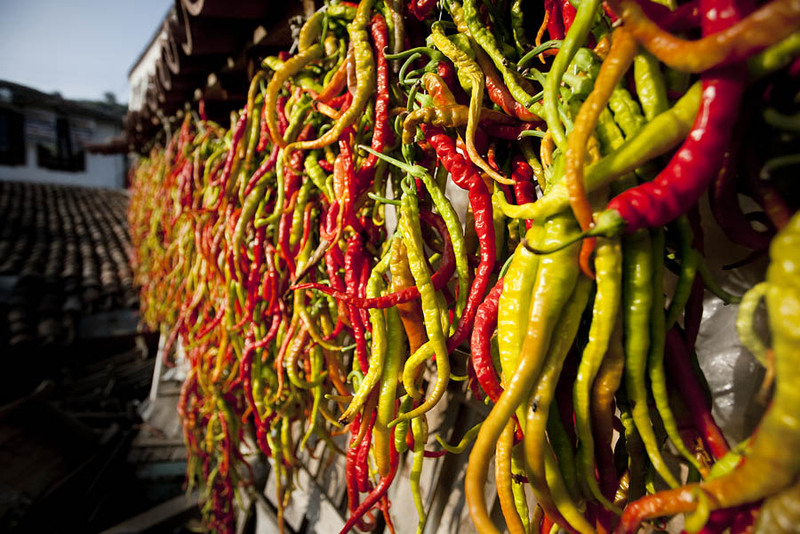 Some chili are drying out in the morning sun, Sirince, Turkey. On our long journey towards Fethiye, we made a stop in this little village south of Izmir. It is a quite nice Ottoman age village quite similar to Safranbolu (which lies much north). Slow pace of life there only broken by the visits of some tourist buses.